"I didn't really make the connection," admitted the part-Pinoy actor, who rose to fame for beating people up (for theatrical purposes) as part of the WWE. "I couldn't understand why they looked up to me so much and it was really odd for me." He only began to understand the fanfare surrounding him when he visited the Philippines. "They really accepted me as one of their own, even if I was born in the United States," he shared. "And they said, 'It's not often that the Filipino people get to be inspired by one of their own.' And from then on, I never took it for granted. It is still so humbling to hear that." Pointing to the tattoo he has on his shoulder, he added: "I love it and I wear the Filipino flag on my shoulder all the time with pride." Bautista, whose father is Filipino-American, was speaking with ABS-CBN News' Marie Lozano as of a promotional tour for Marvel Studios' "Guardians of the Galaxy Vol. 2". In the James Gunn-directed summer movie, he reprises his role as Drax, a deadly fighter who has quickly become a fan-favorite for his all-too-literal approach to the world. "I think Dave isn't appreciated by Dave more than anyone else. 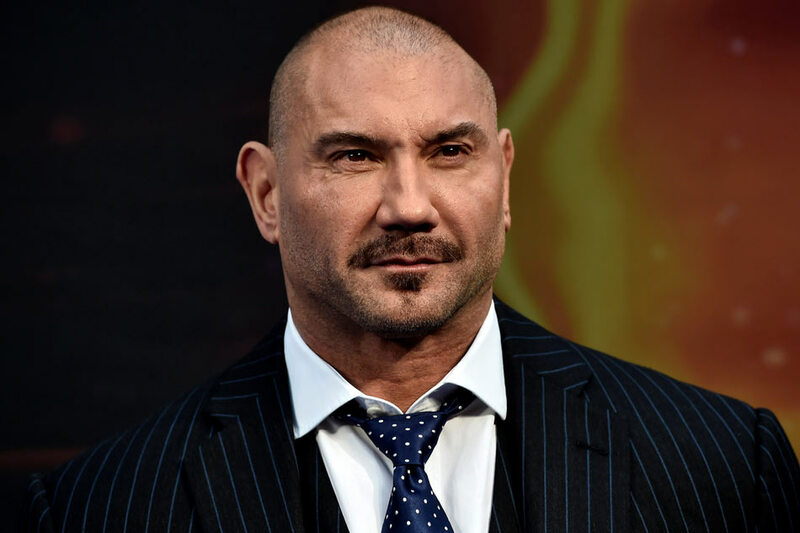 Far and anyway, Dave Bautista is people's favorite character in the film. And I think it's just a testament to what a great actor he is," Gunn said. "And every time I tell Dave, 'You're amazing in the movie. People love you.' He always says, 'Because you wrote it that way.' But that's just not the case. No one else would be able to deliver those lines like he is able to do it. So he's a great actor." "Guardians of the Galaxy Vol. 2" is now showing in cinemas nationwide.